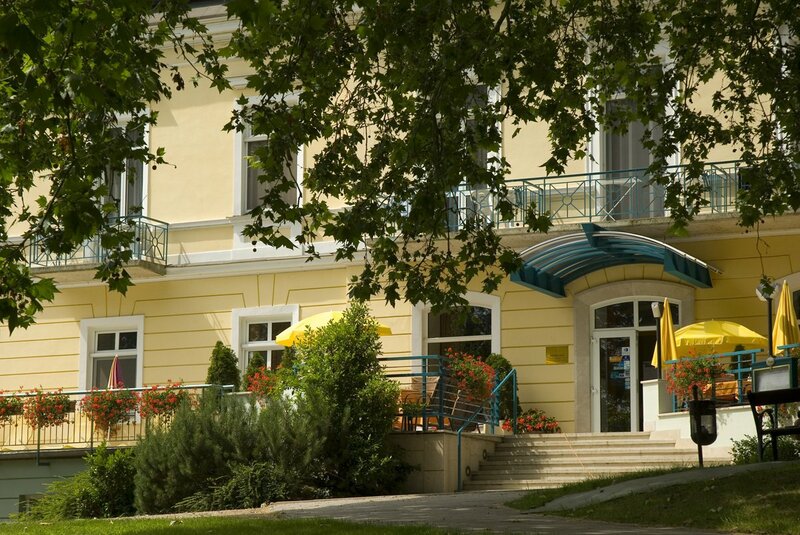 The Hotel Spa Hévíz is a gem among the spa town’s hotels, surrounded by a protective forest of almost 60 hectares, which has been granted official “Hungaricum” status. The Neoclassical building, which is always being improved and upgraded, has its origins in the distant past, but keeps up with the latest trends when it comes to the facilities available to guests. The hotel’s interior, which radiates a winning combination of homely warmth and classical elegance, as well as the growing range of services on offer, make it a true gem among Hévíz’s hotels. Another attractive feature is that hotel guests have unlimited access to the Lake Spa every day. Those who have already stayed at the Lake Spa’s hotel say there’s nothing more convenient than popping over to the Lake Spa after breakfast, in a bathrobe, for a dip in the “miracle lake”. But why is it called that? Come and see for yourself, get a taste of the deservedly famous Hévíz experience, and be a part of the Hévíz miracle with us! We look forward to welcoming you as a guest in our hotel, and making your stay a special time to remember! We really do value your trust and loyalty. Under our FREQUENT GUEST PROGRAMME – for stays of at least 3 nights – we’ll give you a 10% discount off the price of accommodation after your 5th visit, and a 15% discount after your 15th visit.